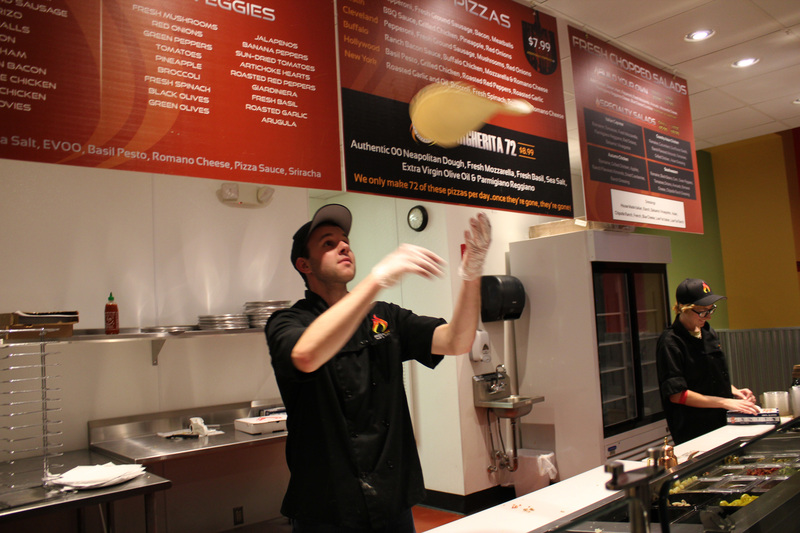 PizzaFire is a new pizzeria located in downtown Akron with a similar set up to Chipotle. It’s owned by Sean Brauser who also owns 36 Romeo’s Pizzas in Ohio. 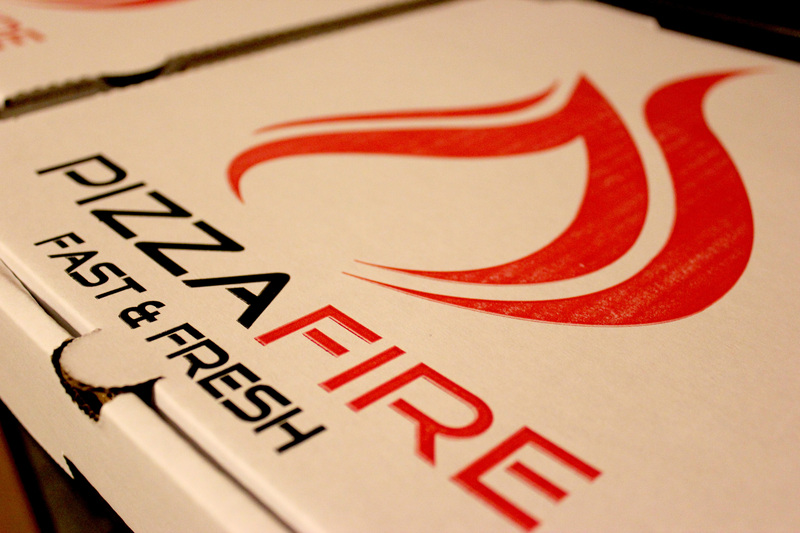 PizzaFire has 40 different toppings and 6 different sauces. 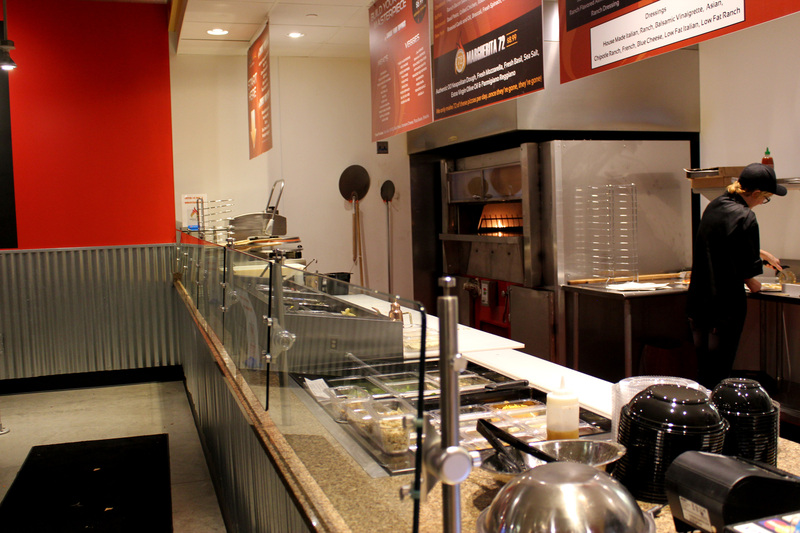 It also sells salads with 30 salad toppings and 8 homemade salad dressings. 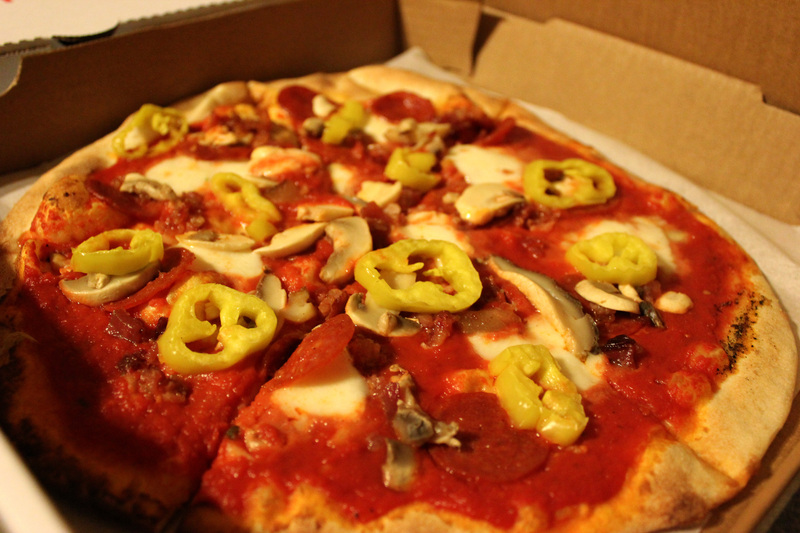 I wanted to try this place out because I love pizza and it was very close to my house. When I got there the staff was friendly and the ingredients were laid out for your to choose from. I got the Buffalo pizza and I created my own with their fresh tomato sauce, pepperoni, banana peppers, bacon, and mushrooms. They were put together and finished baking in the span of a few minutes which was nice. I was a big fan of the Buffalo pizza. 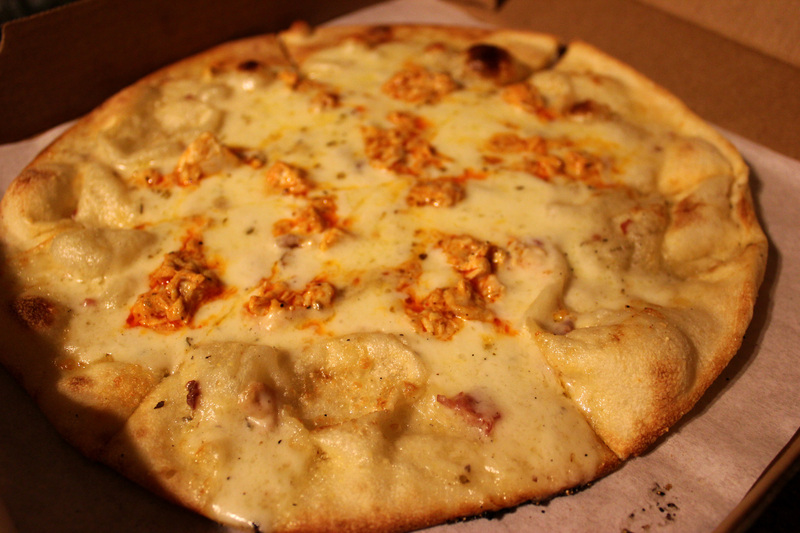 It was topped with Bacon Ranch sauce with Buffalo chicken, Mozzarella, and Romano cheese. It was thin, but flavorful. I thought the Create-Your-Own was okay. The fresh tomato sauce was really sweet and because of their pizzas being so thin it’s hard to pile on the toppings without them falling apart. Overall, they aren’t bad, especially for the price point (The specialty pizzas are $7.99 and the Create-Your-Own 3-topping pizza is $6.99 with $1 for each additional toppings). I would suggest giving them a try if you enjoy thin crusts and pizzas made right in front of you. I have yet to check out their salads, but that will be next on my agenda. I’ll have to try that the next time I go. Thanks for the advice.